Esports • Is it a sport? Proponents argue yes, citing competition, teamwork, training and mental toughness. And at the University of Utah, it will be a sport this year. Chris Detrick | The Salt Lake Tribune Crimson Gaming Director Angie Klingsieck, eSports Director of Operations A.J. Dimick and Crimson Gaming Competitive Director Jordan Runyan pose for a portrait at the University of Utah Wednesday, April 5, 2017. Utah esports will compete in multiple games and has confirmed League of Legends as its first game with additional games to be announced shortly. The esports program is the first of its kind from a school out of the Power Five athletics conferences (Pac-12, Big Ten, Big 12, Atlantic Coast and Southeastern). Al Hartmann | The Salt LakeTribune Bob Kessler describes the teaching computer lab at the Entertainment Arts and Engineering building where students create video esport programs at the The University of Utah. It is the first school in one of the Power 5 conferences to offer varsity esports. 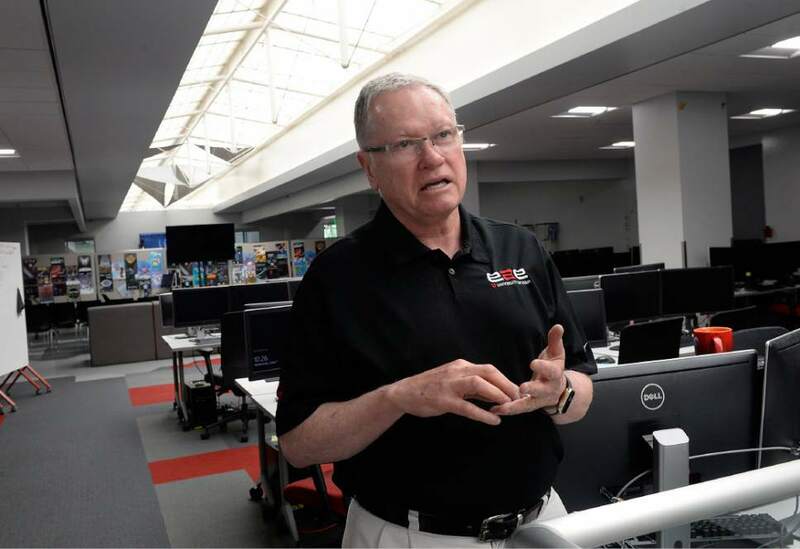 Al Hartmann | The Salt LakeTribune Bob Kessler describes the computer lab at the Entertainment Arts and Engineering building where students create video esport programs at the The University of Utah. It is the first school in one of the Power 5 conferences to offer varsity esports. 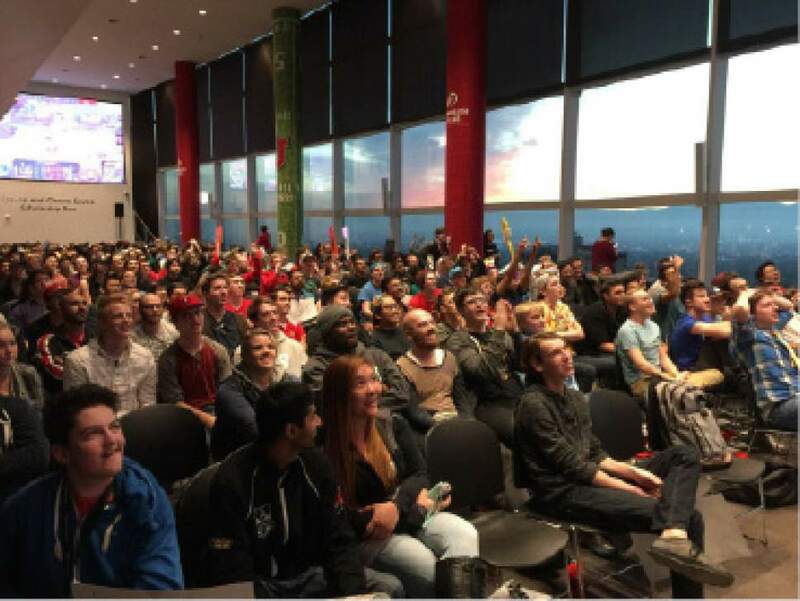 | Courtesy University of Utah The crowd at the University of Utah Crimson Gaming e-sports team game against Brigham Young University in November 2016. 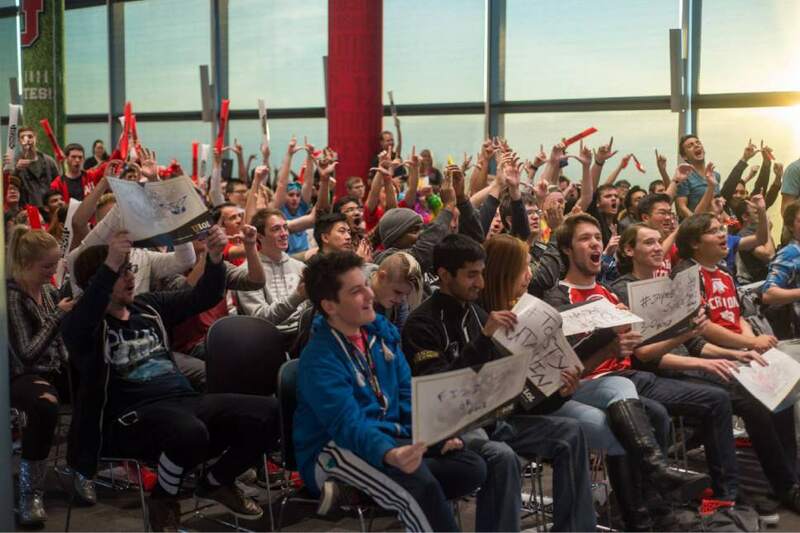 | Courtesy University of Utah The crowd at the University of Utah Crimson Gaming e-sports team game against Brigham Young University in November 2016. 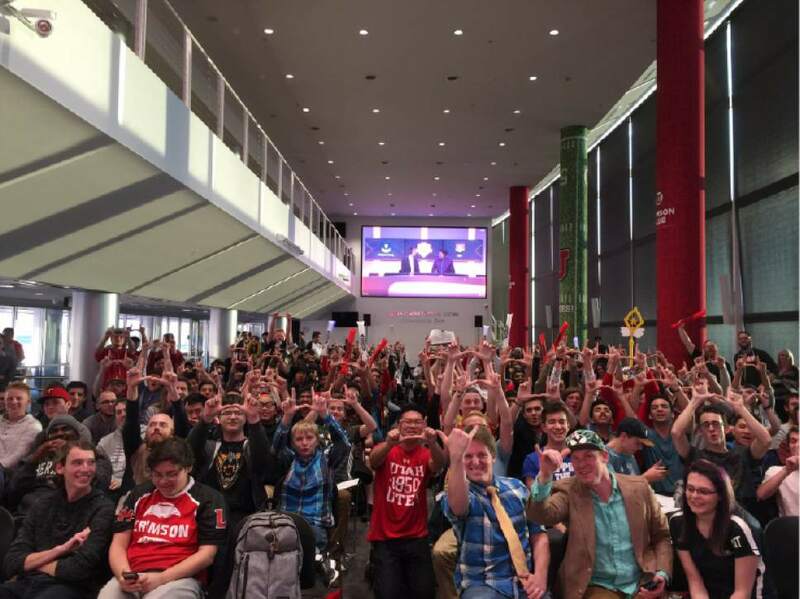 | Courtesy University of Utah The crowd at the University of Utah Crimson Gaming e-sports team played against Brigham Young University in November 2016. 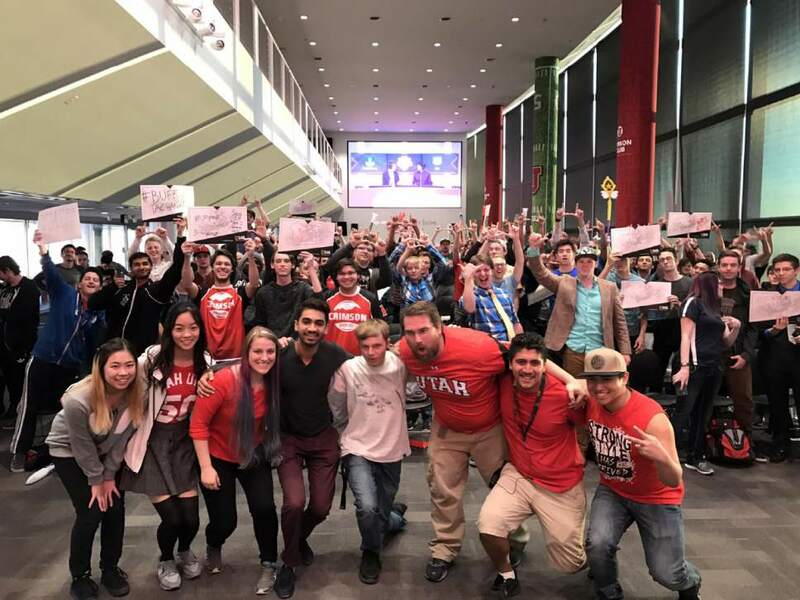 | Courtesy University of Utah The crowd at the University of Utah Crimson Gaming e-sports team played against Brigham Young University in November 2016. 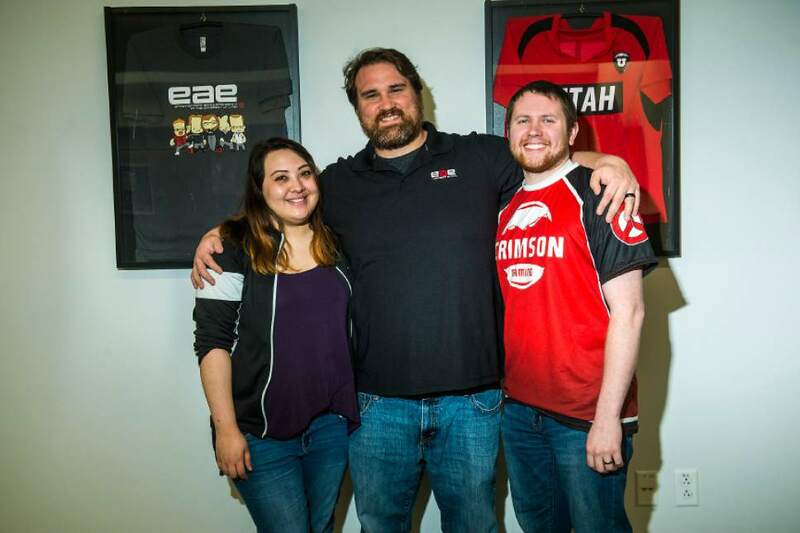 Chris Detrick | The Salt Lake Tribune Crimson Gaming Director Angie Klingsieck, eSports Director of Operations A.J. Dimick and Crimson Gaming Competitive Director Jordan Runyan pose for a portrait at the University of Utah Wednesday, April 5, 2017. Utah esports will compete in multiple games and has confirmed League of Legends as its first game with additional games to be announced shortly. The esports program is the first of its kind from a school out of the Power Five athletics conferences (Pac-12, Big Ten, Big 12, Atlantic Coast and Southeastern). | Courtesy University of Utah The crowd at the University of Utah Crimson Gaming e-sports team game against Brigham Young University in November 2016. 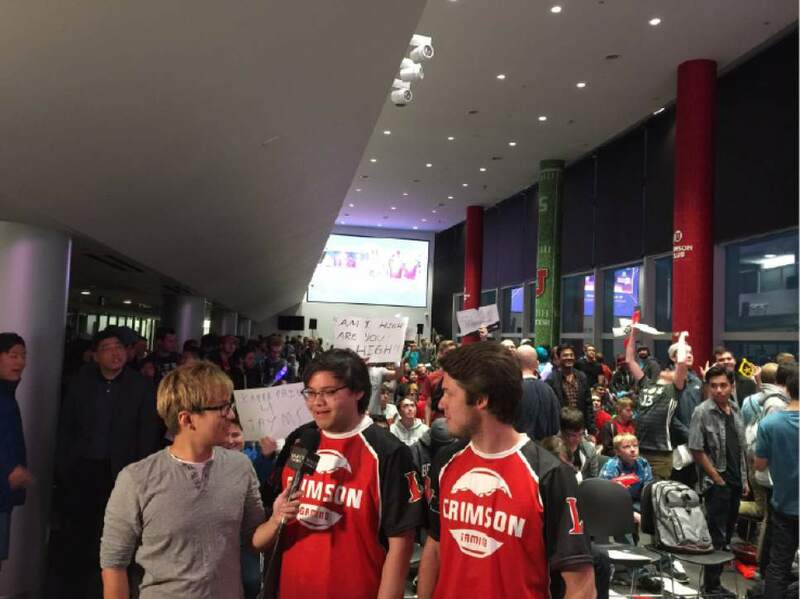 | Courtesy University of Utah The crowd at the University of Utah Crimson Gaming e-sports team played against Brigham Young University in November 2016. There was a buzz inside Rice-Eccles Stadium last fall. What else would you expect when Utah faces BYU? There were hundreds of rowdy students, cheers for the Utes, boos for the Cougars. And, when it was all over, they rushed the playing field  a computer lab across the street from the watch party at the stadium. "They wanted to take photos with us. People were saying they looked up to us," said senior Sean Cook, one of the best "League of Legends" players on the U.&apos;s campus. "It was weird." It was also, perhaps, a glimpse at the future of college sports. 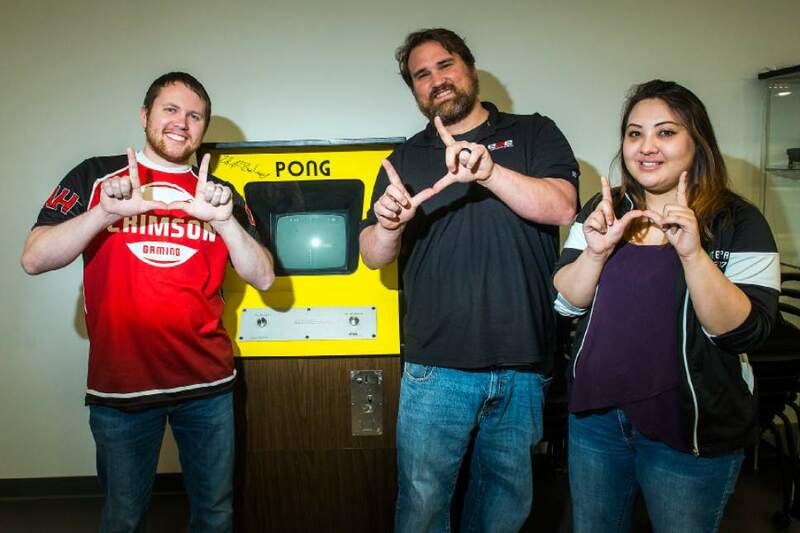 This fall, the University of Utah is set to become the first school from a Power 5 conference to offer a varsity team in competitive esports, a growing industry that some believe has a bright future and a place among traditional college athletics. "If we can get buy-in from Ute nation, and other schools can get buy-in from their fan bases, I think the ceiling for this is limitless," said AJ Dimick, director of the U.&apos;s new esports program. "This could become a very mainstream collegiate experience." 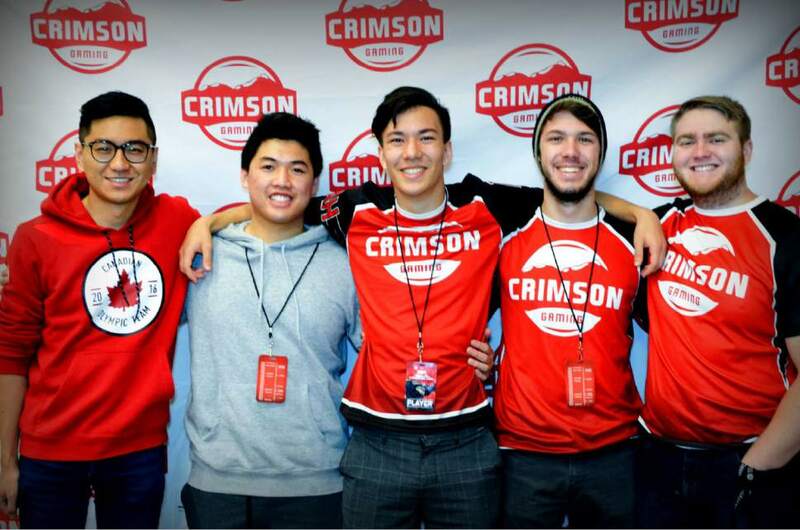 Utah officials began looking at ways to transition their popular club team, Crimson Gaming, into a varsity program about a year ago, when Pac-12 leaders started to dip their toes into the world of competitive video gaming. The conference&apos;s efforts soon fizzled out, but Utah&apos;s esports enthusiasts pushed ahead. "Some of them don&apos;t quite get it yet, which is OK," Robert Kessler, director of the U.&apos;s Entertainment Arts and Engineering program, said. "Others don&apos;t want to dilute regular sports with esports. They don&apos;t see that these things are closely related." So the gamin&apos; Utes will hold tryouts in the fall. There will be no 40-yard dashes or bench presses. Instead, there will be minions to slay and gold to collect. Then there will be scholarships  somewhere between $500 and $1,000 to start, with officials hoping future sponsorships will allow them to grow  for 35 players, managers and coaches who excel in one or more of four popular games: "League of Legends", "Hearthstone", "Overwatch" and a yet-to-be-announced title. The school is not the first to offer a varsity esports team, but it is the first in a major college athletic conference to do so. Officials hope they can provide a model for other schools to follow, while creating a product that might one day fall under the athletic department&apos;s umbrella. 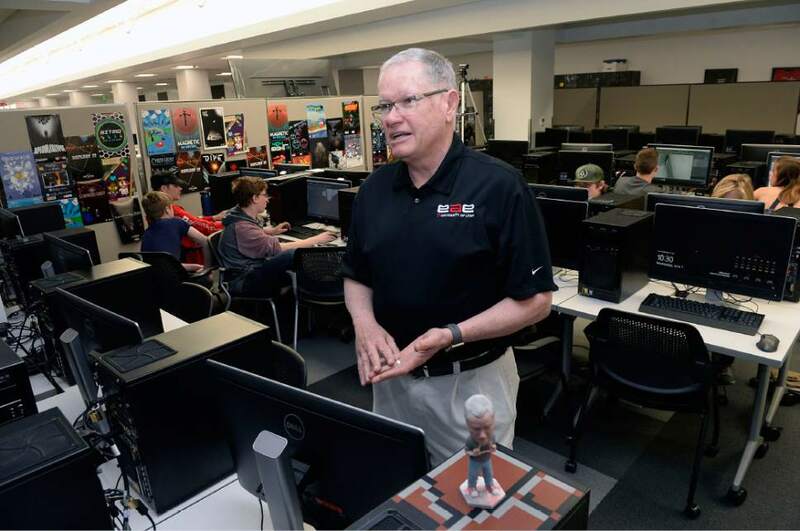 The school&apos;s highly ranked Entertainment Arts and Engineering program, where students design and create their own video games, is a good incubator for such a new program. Eventually, however, officials see this as an athletics program. Otherwise, they will have to duplicate many of the mechanisms  compliance, ticket sales, merchandising  to address problems an athletics department already handles. "We talk to them all the time," Dimick said. "I&apos;m able to pick up the phone and ask them about sponsorships, or how we would put jerseys in the bookstore." Kessler understands the mingling of video games and traditional college sports might be off putting for some. "But if you think about traditional athletics and sports, it&apos;s the same damn thing," he said. "It&apos;s competition. It&apos;s training. There&apos;s intellectuals aspects. There&apos;s teamwork. It is a sport." Dimick agrees. Esports provide spectacle and tribalism, he says, not unlike the traditional sports he loves. He played at Utah State briefly. He produces sports radio in town. On his office wall is a framed poster of the 1990-91 Runnin&apos; Utes  "my favorite team"  and a newspaper sports cover of Utah&apos;s 1993 win over BYU, a turning point in the schools&apos; football rivarly. "Everything that informs you about mainstream sports should inform you about esports," he said. "It does belong in athletics. Straight up." The world&apos;s top esports players and teams can make millions annually and develop rabid fan followings. Last year&apos;s League of Legends championships attracted more than 43 million unique viewers, topping out at 14.7 million concurrent viewers during its peak. This year&apos;s NBA finals, by comparison, are averaging 19.3 million total live viewers on ABC and streaming platforms combined. And the big players in traditional sports are taking notice. In 2018, 17 NBA franchises, including the Utah Jazz, will participate in an esports league centered on the NBA 2K gaming franchise. ESPN, meanwhile, has been feeling out its place in the esports world for years. "It&apos;s been clear to us that it&apos;s a growing category on the global scale and now, more recently, in the United States," said John Lasker, vice president of programming and acquisitions for the sports broadcast giant. "We see that there&apos;s a pretty good crossover in terms of audience comparisons and interest in terms of participating in video games and esports and what you would call traditional sports. We feel like it&apos;s a natural thing for ESPN." There have been video game highlights on SportsCenter, a new vertical dedicated to coverage of events, and more than 300 hours of dedicated programming on Lasker&apos;s networks since 2014. "We&apos;ve learned a lot about the skill of the athletes, the intensity of the competitions, and the interest in it," he said. So with just a few months before the start of his senior season, Cook, the 22-year-old League of Legends ace who goes by the gamertag "Toast," is gearing up for a big campaign. As a jock, a member of his high school football team in Kentucky, he used to keep his love for video games secret, figuring it would hurt his reputation. "Nobody knew I played," he said. Now, he is proud to have traded his shoulder pads for a mousepad  and a chance to win a spot on the varsity squad. The University of Utah is set to become the first school in a Power 5 conference to offer varsity esports, awarding partial scholarships next fall to about 35 gamers, managers and coaches who excel in the computer games League of Legends, Hearthstone, Overwatch and a yet-to-be-announced title.